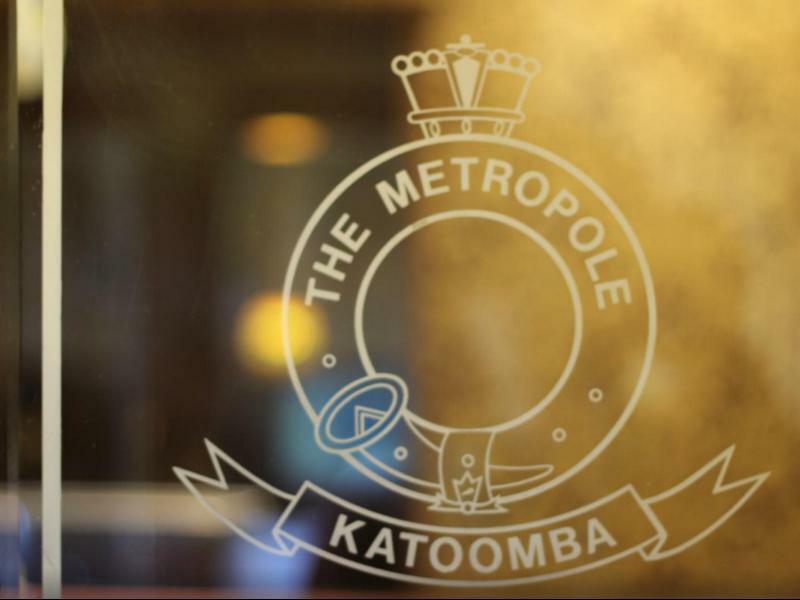 يوفر فندق Metropole Katoomba ظروف إقامة راقية وهو خيار رائج للسياح ولرجال الأعمال أيضاً. يقع في منطقة سياحة, برامج عائلية, مطاعم من بلو ماونتيينز. يمكن من هنا للضيوف الاستمتاع بسهولة الوصول إلى كل ما تقدمه هذه المدينة النابضة بالحياة. كما يمكن الوصول بسهولة إلى The Carrington, سينما ذي إدج, Frank Walford Park. استمتع بالخدمات الراقية والضيافة التي لا مثيل لها بهذا الفندق في بلو ماونتيينز. يمكن الاستمتاع بمجموعة من الخدمات على أعلى المستويات في الفندق كمثل واي فاي مجاني في جميع الغرف, أمن على مدار 24 ساعة, خدمة التنظيف يوميًا, مدفأة, مرافق مخصصة لذوي الاحتياجات الخاصة. بالإضافة لهذا,تتضمن كل غرف الضيوف مجموعة واسعة من وسائل الراحة . بعض الغرف توفر حتى تلفزيون بشاشة مسطحة, اتصال لاسلكي بالإنترنت, اتصال لاسلكي بشبكة الإنترنت (مجاني), غرف لغير المدخنين, مكيف هواء لإرضاء أكثر الضيوف تطلباً. إن حديقة, غرفة ألعاب هو المكان الأمثل في الفندق للاسترخاء وتفريغ طاقتك بعد نهار طويل. إن Metropole Katoomba هو خيارك لخدمة الفنادق الراقية في بلو ماونتيينز. تختلف ساعات عمل مكتب الاستقبال خلال أيام الأسبوع. من الإثنين إلى الخميس وأيام السبت: من الساعة 08:00 صباحًا إلى الساعة 06:00 مساءً. Really enjoyed my time here. the room was spacious and shower big. Lovely airy windows. Breakfast was very good value. Lovely to have various sitting areas to read my book and have a glass of wine. Highly recommended. One note would be to ask for a room down the back if you are a light sleeper because the freight trains come through at night. Thank you June, we really appreciate you leaving us your thoughts. Its always lovely to hear when our guests enjoy the lounge areas & library. They are perfect for some quiet time & a nice glass of bubbles. 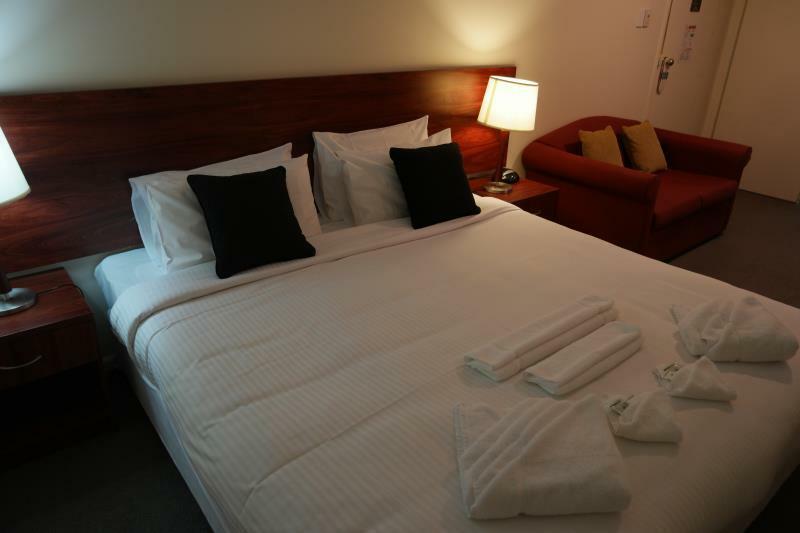 One thing about the Metropole is our close proximity to the train station, Perfect for train travelers, perfect for those that want to leave the car at home. Sometimes the trains can run a little loud.. Thanks again June. Very conveniently located near Katoomba station. A cosy room, but it was on the third floor. Unfortunately there is an old, slow lift I found a bit scary to be in, so I walked up to the third floor each time. A nice place to stay, but I wouldn't recommend it if you have heavy luggage and are scared in old lifts. I enjoyed my stay nonetheless, as I'm well enough to walk up the stairs. Thanks for you review, the lift is slow but it's not very old, not every one likes lifts, but it is convenient for a lot of people. It's great that you enjoyed the location which is very central. Fantastic to read David, thanks for leaving us your thoughts. We hope to see you again when you're next in the Blur Mountains. Nice staff, good value, near top of main street so close to shops, etc. Once a month pop-up bar and show. Hot $12 buffet breakfast OK but also lots round corner. Not for light sleepers as old timbers creak as people walk past (not often). Clean. Nice period library and lounge rooms to sit in sun and relax. Nice place, Sharon was very helpful and let us check in early. The place is right opposite the train station so very convenient. The place is tidy and very cool as it has these hangout lounges on each floor. The decor is dated but thats just the style of place. The hotel, staff and condition was great, however some rooms are next to old fashioned metal staircase and can be very loud. All other aspect are great. Thanks for choosing to stay with us Chris. We are happy to hear you enjoyed your stay, we understand the situation with the fire escape & are looking into ways of quietening this area. We hope to see you again when next in the mountains. Great location, town centre is just round the corner. Great bed, functional bathroom. Staff are welcoming. Most interesting decor, like going back in times, it's a hotel with character. Will definitely come back. We drove from Sydney but if you are taking train, the station is just right across the street. Very safe town and although there's passing train at night that may annoy light sleepers but we're both perfectly fine with the sound. Location is near the train station. Staff was great and they were able to answer all our queries. Building was a bit old but still very clean. Elevator was a bit creepy at first but it was fine though. We were able to leave our luggage after check-out. I loved this place, i was booked in for 1 night and extended it for an extra night. Great location - I had been concerned about train noise from previous posts on tripadvisor - but there was v little noise and slept the night through. The staff were great and the cooked breakfast at $15 was well worth it. The architecture in here is great. I've always stayed in motels before, all of which were more expensive and lacked the charm. Cosy, clean, mere steps from the train station and with an old-world pleasantness to the sitting rooms: its also excellent value. The rooms themselves don't have much charm but they are comfortable. I've stayed in the queen room and the king room here and the king room is definitely worth the very small extra expense. Reception was friendly and efficient in providing directions. Thank you for the lovely stay. Hi Julie and thanks for taking the time to leave us a review. Glad you enjoyed your time with us & the location is so handy for train travelers. Our heaters are temp controlled ( energy efficient). Safe travels. 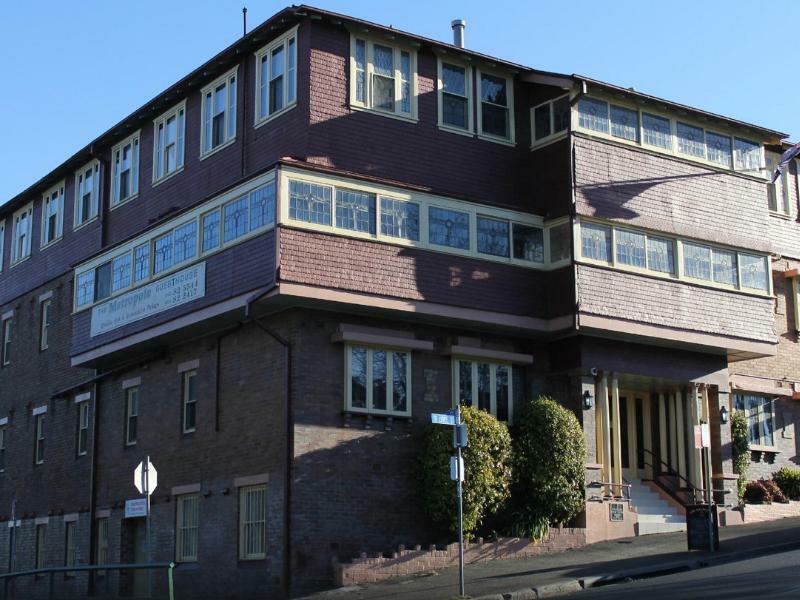 The Metropole is directly across the road from the Katoomba train station and around the corner from the main street with its many cafes. The rooms were remodeled some decades ago and looking worn but the charming old ambience still remains in the common areas such as the entrance, dining room and library. Easy and affordable way to experience the town centre. 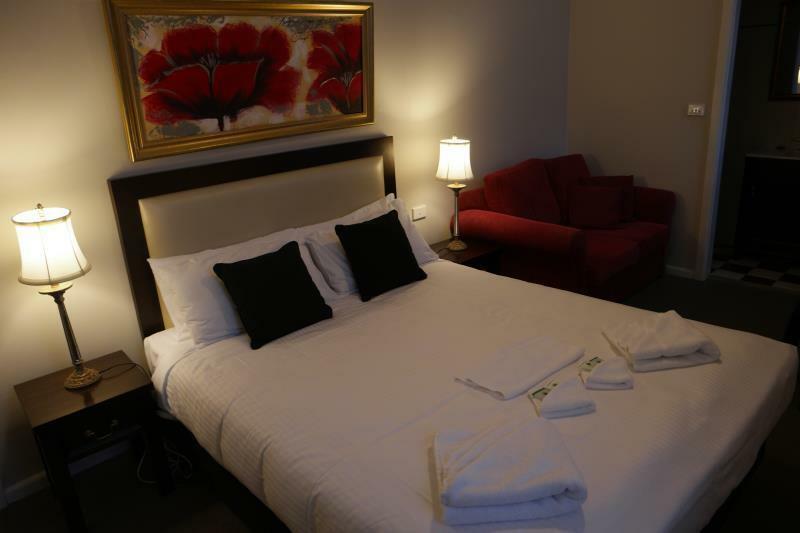 Thanks James for taking time to review us, the Metropole is slowly having a facelift, we have renovated some of the rooms and have plans for painting and recarpeting the common rooms, we are in a great location as you mentioned, we are happy that you enjoyed the general ambience of the place. Lovely place! Heating was not enough for me but electric blanket made up for it and made a night's sleep comfortable. I would definitely stay here again given a chance. All the staff are very helpful and friendly. The hotel renovation is lovely. It has a small library at first floor which have a fireplace! We like it very much and spend our afternoon there. Near the station, and good food around (promegrante and sushi&co), supermarket is nearby. Bus stop is near to head to the nearby echo point as well. Will stay there the next time! Nice hotel to stay if you intend to visit the Three Sisters, especially if you have a rental car. They have a sister hotel very near to Echo Point which you can park your car there. There is a small but free parking at the back of the hotel. Rooms are decent and clean.